One of the most popular tourist attractions in Vietnam. Ha Long Bay is the scenic cruise on the tranquil jungle. There are countless options that suit the requirements for each traveler. Whether you want to visit Ha Long Bay on a short weekend or choose a long day trip in this beautiful bay. You need time to learn and select a cruise line to suit the requirements. Here are some recommendation for a great excursion in Halong by boat. The first step in planning any trip is to decide the duration of the vacation. From there, set a cruise. 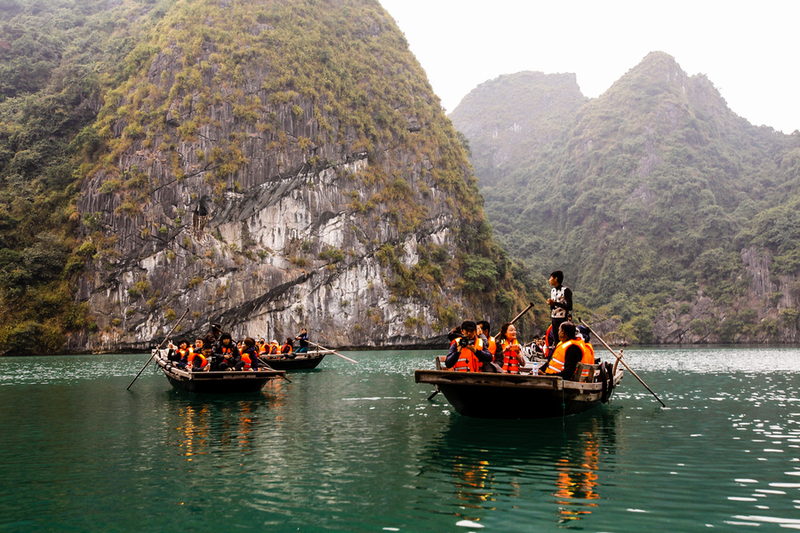 One day tour at sea experience will give you an insight into the local life of Ha Long. Usually, you will be touring around the bay, watching some of the limestone caves and having a short time for swimming or kayaking. 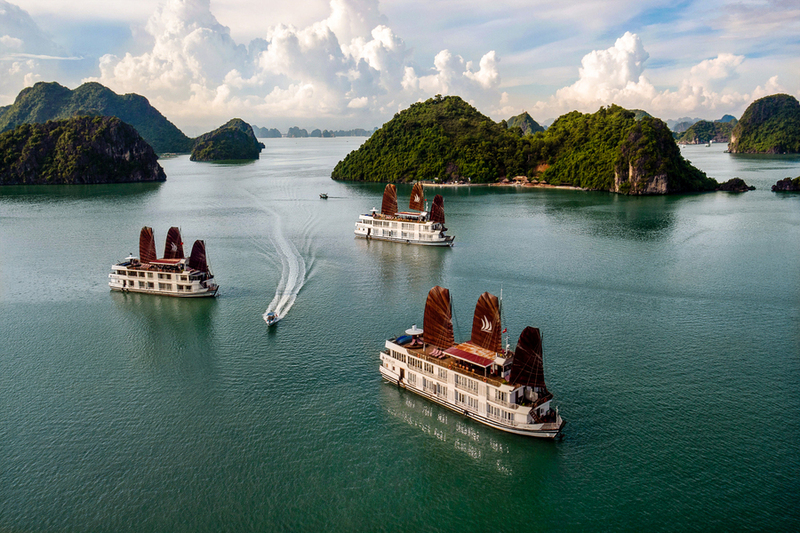 A two to three day cruise tour allows you to experience and learn more about Ha Long. You will have more opportunity to enjoy foods and participate in more activities. Such as squid fishing or tai chi at dawn. For those who plan to rest in Halong on weekends. Spend overnight on Cruise in Halong Bay are the perfect choice. If you have booked a hotel room or just a day trip, cruise day cruise is the perfect choice for you also. Finance is always a matter of concern to top tourists. You can easily narrow down your choices by setting a budget. Holiday length will help you choose a specific price. There are a lot of exciting journeys at a cost of $ 100 ($ 2,250,000) - $ 150 (3,375,000 VNĐ). They allow visitors to enjoy the wild beauty and vocal of nature. In addition, visitors can enjoy delicious food and experience attractive activities. Most cruise ships are designed with a luxurious look, no matter what the cruise line price. We recommend that you do not choose the cruise package at the lowest price. Price often goes with quality. Just pay a little more sure you will enjoy full service and more professional. Halong Bay is a small corner of Vietnam, in Southeast Asia. So visitors can see quite a lot of famous destinations in just one or two days. However, each carrier selects different tourist attractions. There are dozens of limestone caves and floating villages for tourists to explore. Some cruise lines focus on the wild, primitive locations of Bai Tu Long Bay, not Ha Long Bay. Therefore, travelers should consider and choose the itinerary that fits personal preferences. Do you want to visit Dau Go Cave, Sung Sot Cave or Thien Cung Cave? Fishing village Cua Van or Vung Vieng more attractive? Holiday duration can affect your decision. However, you should choose the journey with interesting destinations to experience the whole Ha Long. Another way to narrow down choices is to learn about reputation and safety standards. Any reputable shipping line will be subject to a certain safety standard. Currently, there are many online advertising agencies. Visitors should not decide when they are unsure about their safety or reputation. For example, modern cruise lines do not exploit and use wooden boats. This is a point that visitors should pay attention. Choosing a low cost does not mean poor service. However you will want to pay attention to the ratings as well as the reviews of the customers. Best travelers should not choose cruise lines with little or no evaluation. The combined flight between Sea Plance and L'Azalee / Emeraude are prestigious names, chosen by many visitors. In addition, there are other units, including Signature, Azalea Cruise and Orchid Cruise. Experience the boat cruises Halong offers a great variety of options. Make sure you finish the job before making a decision. WHO WILL TRAVEL WITH YOU? Traveling with a partner will affect the way you travel. No matter who you experience with. There are always travel services for each situation. Families are the top priority for a few firms. Other shipping lines focus on creating a romantic atmosphere for the couple. There are even yachts that organize parties with single rooms for backpackers and independent travelers. Make sure that the ship can meet the requirements of the group and each member. It is often said that size does not matter, but in the case of cruises on Halong Bay are usually possible. If you are a solo traveler or backpacker who wants to explore the no fanfare attractions, a small boat can fit you. However, the larger the group, the more difficult to enjoy the environment may be narrow. Most cruise ships in Halong Bay are not that big. There are many ships wandering through the bay, there will not be a floating Titanic-esque ship. But some boats are more spacious than other boats. Not only in room space, but also in dining rooms and on deck. Travelers who want to broaden their wings and enjoy the view from a quiet location on the boat will want to stay away from the boats cramming too many into a small boat. Most cruise lines in Halong provide meals with many different menus. In addition to traditional Vietnamese dishes, international dishes are also served. Many companies also organize cooking classes right on the boat. This is an opportunity for visitors to learn more about Vietnamese cuisine. Experienced travelers often prefer to taste local flavors where they come. However, today, many visitors set their own food requirements. If you are allergic or are on a strict diet. It is best to choose a cruise company that suits your own needs. The most popular menu includes fresh seafood. If you are allergic to seafood, make sure the boat company has another choice at the meal. Families with young children will want to choose a cruise with a children's menu. Most customer will happily prepare a vegetarian menu when requested. None of the tourists take part in cruise tours just to see the scenery from the deck. Sightseeing is definitely a great part of the journey. However, the most interesting part of the journey is when you step foot on the cruise. You will be immersed in the picturesque landscape of Ha Long. There are many limestone caves, beaches and floating villages for visitors to explore. Most of the cruises will include the experience of famous sights of Halong by boat or kayak. In the afternoon, there will be water activities such as swimming, kayaking or even diving. There are also many other boat activities. Such as cooking classes, movies, squid fishing, tai chi every morning. Do not waste time experimenting with Halong Bay by sitting in the cabin and admire the scenery. Make sure you will join as much as activities to have the best experience in Ha Long. Hanoi is the capital, and the city is located near Ha Long Bay. Therefore, many visitors often combine to visit Ha Long Bay with the experience of Hanoi. This is the reason the shipping lines usually include transportation between Ha Noi - Ha Long. 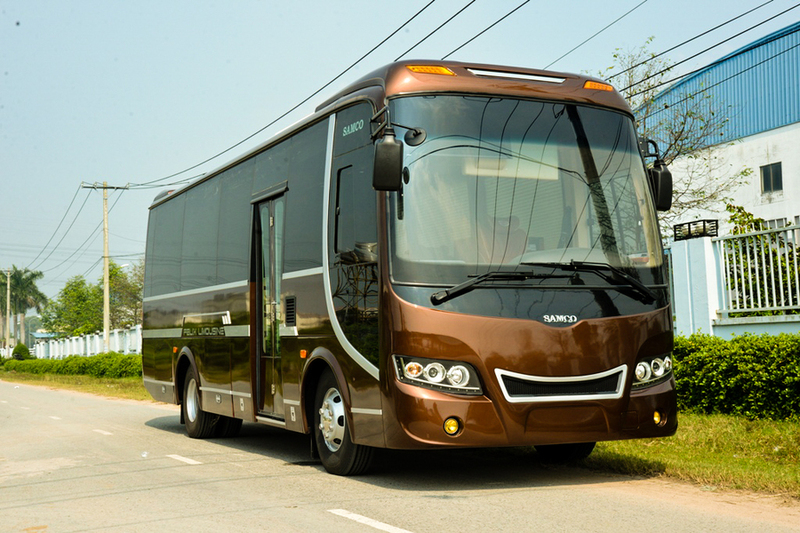 A shuttle bus or private car is the option most tourists choose. The journey to Hanoi - Ha Long will last about four hours, often accompanied by the same tour packages. 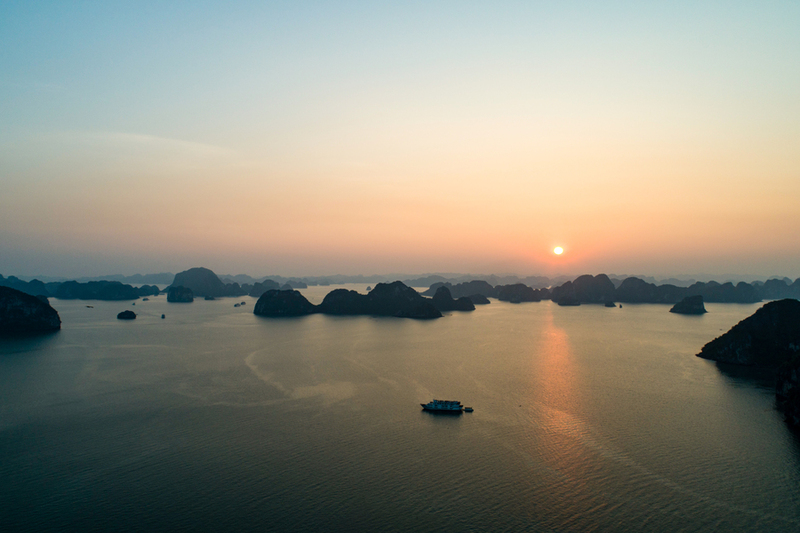 A number of tours combine with Ha Noi Aviation, providing travelers with a one-way or two-way seaplane, saving less than half the travel time with a panoramic view of Ha Long Bay. You can drive or take a boat to Ha Long. However, this choice will be complicated and take quite some time. You should choose a cruise travel including transportation Ha Noi - Ha Long. This will be a good fit for your time and budget. However, many promotional packages are sold on e-commerce and travel websites. So, let's kick out the options. Reputed resellers like Kayak or Expedia will provide various website security services such as Halong Bay Tours or Trip Advisor. All you need to do is read the terms and conditions of previous visitors. Completing all of these steps means you are ready for a great trip to Halong. The planning process may seem complicated, however, just by spending a little time and effort, this will be an experience you will never forget.